David’s works are held in many private and museum collections, including The National Portrait Gallery, The Smithsonian Institution, The New Mexico History Museum, The Wittliff Collections, The Southwestern & Mexican Photography, Collection of Texas State University and The Harwood Museum of Taos, NM. 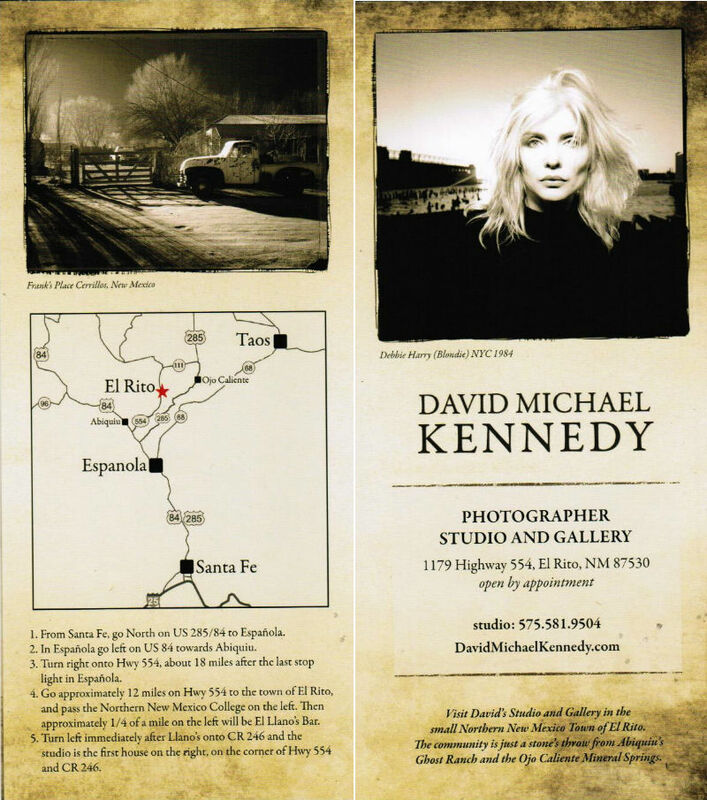 In 1986 David moved to northern New Mexico from New York. Once in New Mexico, he began documenting the land and cultures of the Southwest. Through hard-won relationships developed over time, David has been granted permission to photograph American Indian Ceremonial Dancers. He has documented these in his portfolios of American Indian Dance work. David’s artworks are materialized through the traditional analogue technique of Platinum/Palladium printing.